Tucson, AZ, WPH Press, 7/20/17- Big Blue 1-Wall Paddle Ball Men’s, Women’s and Mixed Doubles will be added to the WPH/WOR 3WallBall Outdoor World Championships this September, featuring the best 1-Wall Paddle Ball players in the sport in the most exciting outdoor court sports event in the world. 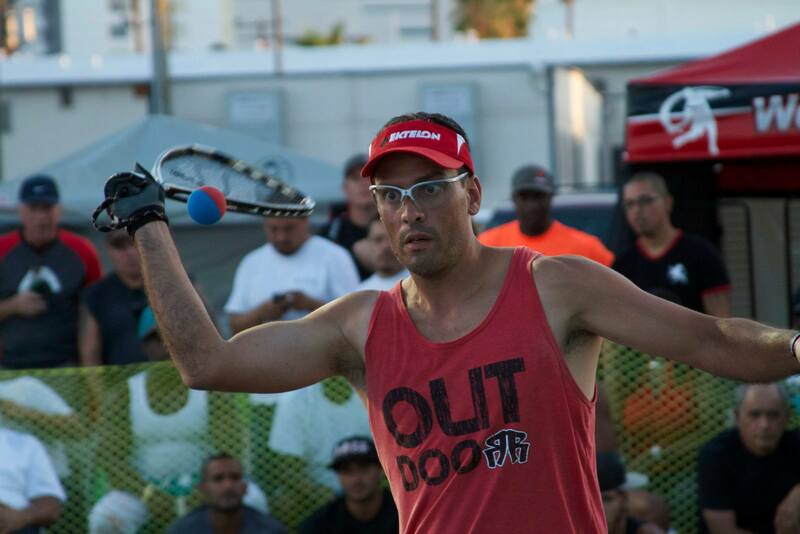 1-Wall Paddle Ball legend Robert Sostre will headline the field and will be joined by fellow Paddle Ball legends Mike Melendez, Bobby Fiorentino and Freddy Ramirez in the men’s pro doubles. The 1-Wall Paddle Ball will also feature women’s pro doubles and mixed pro doubles, as well as B doubles divisions. The pros will be competing for outstanding prize money, thanks to Castle Hill Handball Association’s Richie Vera.